Jessica and Digger met in intermediate school and have been together for over a decade. When they asked me to photograph their New Year’s Eve Wedding at The Berkeley Oceanfront Hotel in Asbury Park (an AMAZING place to get married, might I add!) I knew I wanted to incorporate the significance of this fun holiday into their wedding photos. When I told Jessica my idea of ending the night with a champagne photo, she was super excited about it. We knew that the balcony just outside where they exchanged their beautiful vows, was the perfect spot! I especially love how you can see Asbury’s Convention Hall / Paramount Theater in the background – all lit up for the holidays. I love a great NYE and would love to spend many more of them capturing wedded bliss just as I did last night. Happy New Year 2015 to you all! 2014 was wonderful – I photographed over 30 weddings and had a huge smile on my face all day during this one (during all of them, actually!) This was the perfect way to end my year. Thank you again, Jessica and Digger! If you love this image, leave me a comment! If you’d like to get in touch, please email kristen@kristendriscollphotography.com ! Want to follow my work on Facebook? 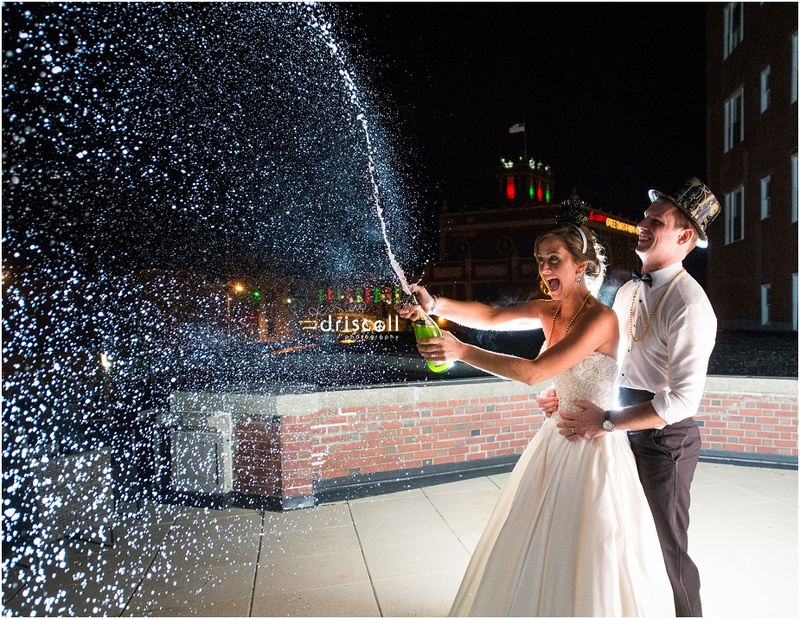 Like Kristen Driscoll Photography on facebook!